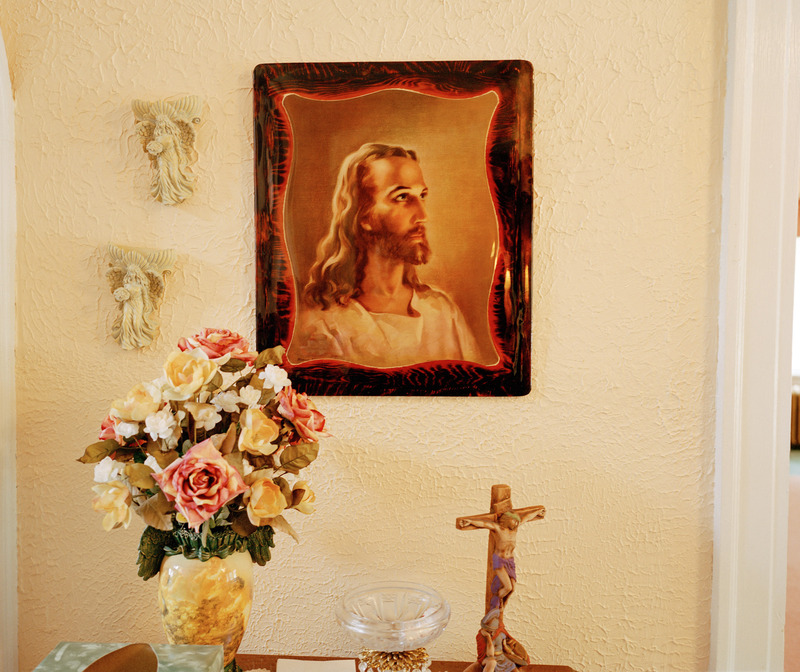 A portrait of Jesus hangs on the wall of Dawsons funeral home in East Liverpool Ohio. East Liverpool is in the " rust belt," of the industrial mid west and is depressed economically. Where there were once many small industries as well as substantial steel industries there are now very few. In East Liverpool there is a high rate of unemployment with little hope of new jobs.